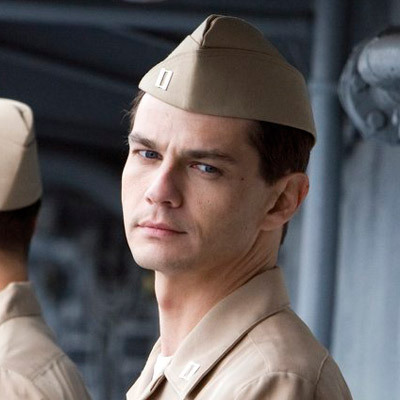 This movie centers on the lives of two navy fighter pilots who find love during a period of time where the Don’t Ask, Don’t Tell regulation was enforced in the military. The policy was really a cover to target LGBT servicemen and women by mostly homophobic leaders to discharge them in dishonor. In the closing credits, it reported that 14, 000 service people were discharged under this policy and that 1 million veterans are LGBT. Burning Blue explores the brotherhood and loyalty that exists in the squadrons and among these pilots. It also plays out the glaring discrimination that sexual preference brought on as opposed to the heterosexual military personnel whose talent and skills for the job were more questionable. 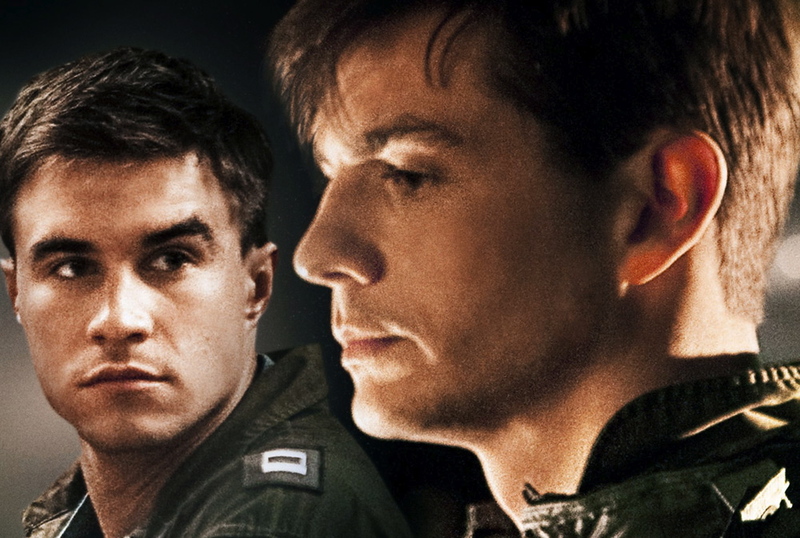 Burning Blue portrays the lives, friendships and struggles of a group of pilots who are challenged when two of their star pilots are accused of being gay and carrying on a relationship. The film digs deep into the witch hunt like atmosphere that cast its shadow over LGBT service personnel serving during this period. It is apparent how discriminatory the policy was and how it resulted in destroyed careers of thousands and also the great loss of capable, military talent not only to the armed forces but to our country. With searing clarity, we see that military competency and skills are not dependent on sexual preference. Moreover, we see that honor, loyalty, and courage operate the same way. The recent changes in policy and the sweeping equality wins across the nation are changing the situation for many people. It also reminds us that prejudices and bigotry take time to fade away following the establishment of new laws and regulations. 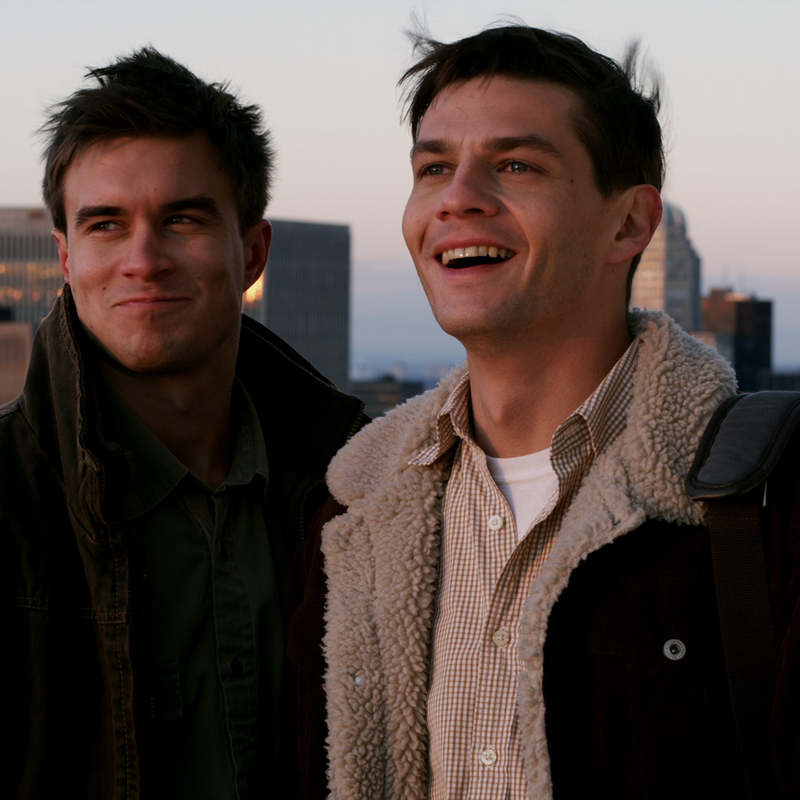 The burgeoning love story of Lt. Daniel Lynch ( Trent Ford) and Lt. Rob Mayes ( Matthew Blackwood) is universal. The only difference is that it is between two men. A love in a world that won’t accept it is heartbreaking, but we also see courage. Both performances of these two actors were believable and heartfelt. I also wanted to give praise to William Stephenson, who played Lynch’s best friend and fellow pilot, Morgan Spector. His portrayal of a flawed man whose deep friendship with Trent Wood is tried by fire with Wood’s coming out. Also, giving comedic relief and also poignant moments, is William Lee Scott who plays Charlie Trumbo. The film is a welcome addition to the crowded high budget films currently showing on big screens. I encourage all to see it.